World-renowned Canadian architect, Jack Diamond (1956, PPE), was invited to transform a shabby hall into a state-of-the-art performing arts centre at Marlborough College. 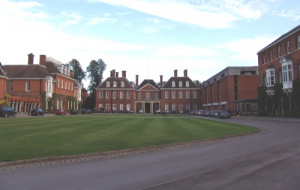 Marlborough College is the 175-year-old Wiltshire public school, whose famous former pupils include the Duchess of Cambridge, the poet Siegfried Sassoon and the actor James Mason. The Memorial Hall originally opened in 1925 and was built to commemorate 749 old Marlburians who lost their lives in the war. However, the building was falling apart with a flooded basement and leaking roof. Mr Diamond has previously designed Russia’s Mariinsky II theatre, which opened in 2013. His design was lauded by tenor Plácido Domingo and conductor Valery Gergiev. The reported cost of the project was £450 million. Mr Diamond was initially only contacted for advice on the refurbishment of Marlborough College’s arts centre. However, he was inspired by its parallels with the now-demolished Fogg Art Museum lecture hall at Harvard University so he decided to become the architect on the project.